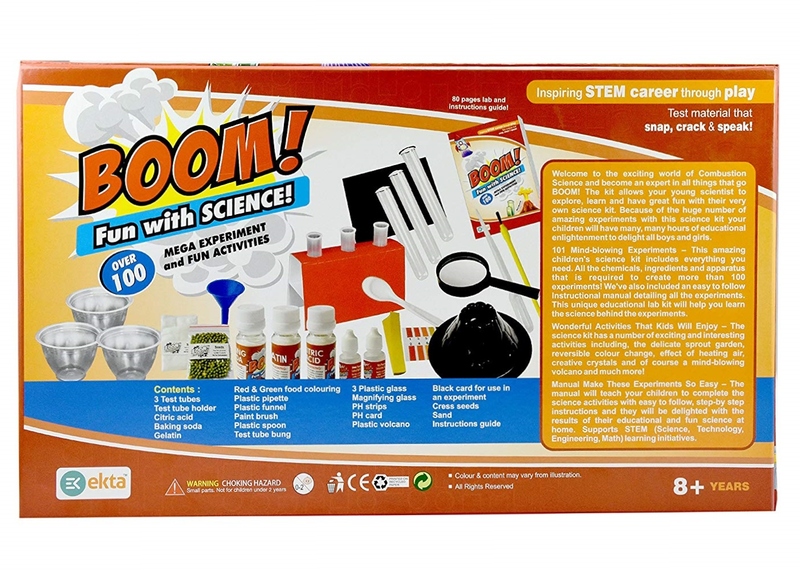 Welocme to the Exciting world of Combustion Science and become an expert in all things that go BOOM! 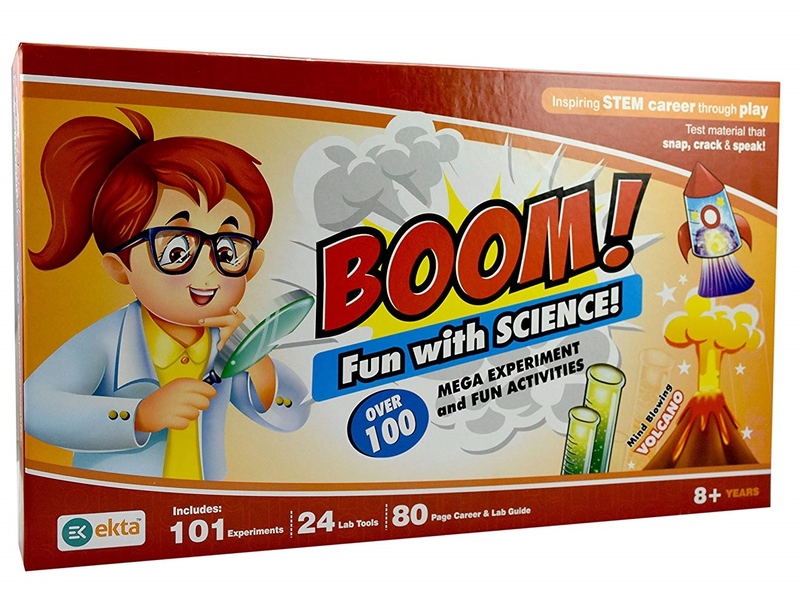 The kit allows your young scientist to own science kit. Because of the huge number of amazing experiments with this science kit your children will have many. many hours of educational enlightenment to delight all boys and girls. 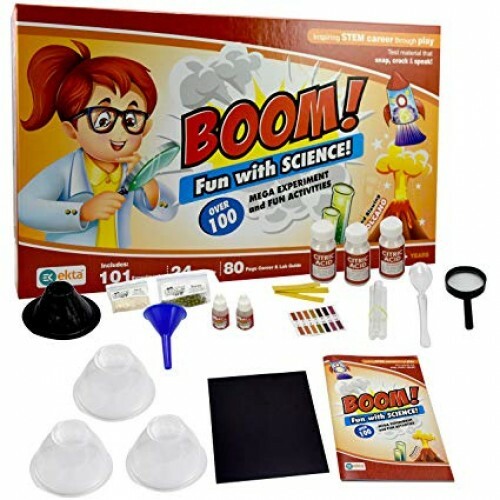 101 Mind-blowing experiments - This amazing children's science kit includes everything you need. All the chemicals, ingredients and apparatus that is required to create more than 100 experiments! We've also included an easy to follow Instructional manual detailing all the experiments. This unique educational lab kit will help you learn the science behind the experiments. Wonderful Activities That kids will Enjoy - The science kit has a number of exciting and interesting activities including, the delicate sprout garden, reversible colour change, effect of heating air creative crystals and of course a mind-blowing volcano and much more! Manual Make These Experiments So Easy - The manual will teach your children to complete the science activiteies with easy to follow, step-by-step instructions and they will be delighted with the results of their educational and fun science at home. Supports STEM (Science Technology, Engineering. Math) learning activites.